Henderson Matusch is excited to launch our refreshed Where in the World Promotion for 2019. 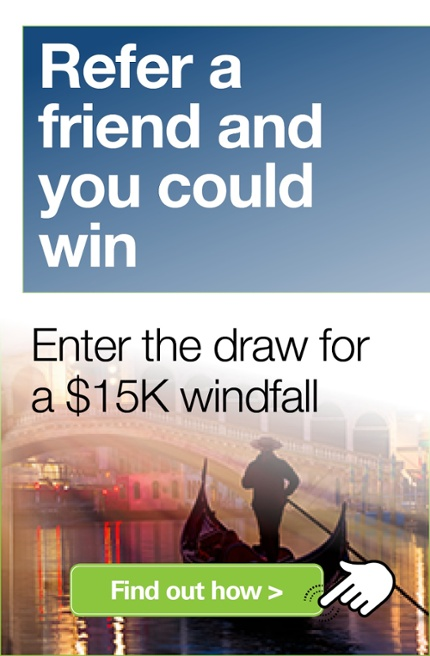 Simply send us your holiday snaps or short video displaying the HM Travel Tag in it, to go into the draw to win $1,000! Yes, you read correctly – $1,000! We will collect entries throughout the 2019 year for one major prize that will be drawn on 2 December 2019 – in time for Christmas. Just be in it to win it. Throughout 2019, we will display all qualifying entries on our Facebook page so that we can all share in some of your wonderful memories attained via your goals as inspiration. Email your entries to either marketing@hendersonmatusch.com.au or directly to your Financial Adviser from 22 December 2018 and by COB 27 November 2019 to be in the draw. You can pick up the Where in the World brochure and also a new novelty HM Travel Tag at your next review, or alternatively, just let your Adviser know if you are going on holidays sooner, and we can arrange to send you your new HM Travel Tag. Best of luck, and we look forward to seeing all your entries in 2019 for this exciting promotion. Have you referred a friend to HM yet? At Henderson Matusch, our team are driven to provide the highest standards of friendly, responsive service and performance. We hope that as our client, you find this to be the case in all your dealings with us.